I’m thrilled to announce that ‘Europe United: 1 football fan. 1 crazy season. 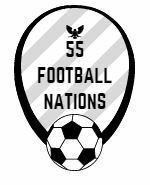 55 UEFA nations’ will be published on 8 August. It was always an ambition to write a book that captured the unique fusion of football, travel and my almighty challenge. And, as the riverrun press release highlights, Europe United will be that exploration in words. Riverrun is delighted to announce the acquisition of a new football travel book, Europe United, following Matt Walker’s unprecedented challenge to experience top-division football in all 55 UEFA countries in a single season. This quest, which began in Georgia (pictured top) in June 2017 and ended in Montenegro (pictured below) eleven months later, saw Walker capture the imagination of Europe’s sporting media: covered over 80 times in 45 different countries, including TV appearances on Football Focus and BT Sport. This epic journey would pose its challenges. Yet no amount of airport confusion in Iceland, unusual betting activity in Latvia, spectator bans in Albania, disturbances in Kosovo or ropey breakfast buffets in Moldova would make Matt miss a matchday. And then there were the games themselves: showcasing the full spectrum of footballing theatre, from the truly sublime to the utterly ridiculous. Riverrun will publish Europe United in hardcover and ebook on 8 August 2019. Available for pre-order at Amazon and Book Depository.